WASHINGTON (July 12, 2016) -- The Campaign for Youth Justice (CFYJ) is pleased to announce the addition of its new Policy Director, Jeree Thomas. Thomas joins CFYJ from the JustChildren Program of the Legal Aid Justice Center in Richmond, Virginia. She started her legal career with JustChildren in 2011 as a Skadden Fellow representing incarcerated youth experiencing education and re-entry issues. Jeree currently serves as the campaign manager of the RISE (Re-invest in Supportive Environments) for Youth Campaign focused on investing in community-based alternatives to youth incarceration in Virginia. "We are thrilled to have Jeree join our team, she has such great experience and has demonstrated a real commitment helping incarcerated youth," said Marcy Mistrett, CFYJ's CEO. "I am most excited about her passion around engaging families and ensuring they are an integral part of the reform process and in ensuring that kids receive the best possible outcomes." Thomas received her B.A. from the College of William & Mary in Social Justice & Community Advocacy, where she received the President’s Award for Service to the Community, and the Algernon Sydney Sullivan Award. She received her law degree from the University of Virginia Law School, where she was one of five students selected for the first class of the Law and Public Service Program. She was also inducted into the Raven Society and received the James C. Slaughter Honor Award presented to an outstanding member of the graduating class. Thomas is a member of the Virginia State Bar. 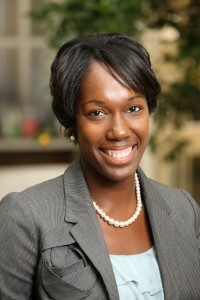 She has served as the co-chair of the Young Lawyers Conference Commission on Women & Minorities in the Legal Profession. She also served as the Chair of Madison House Board of Directors, a non-profit that coordinates over 3,000 UVA student volunteers. She is a co-author of Virginia CLE’s Education Law and Advocacy Manual, and an alumnus of the Youth Justice Leadership Institute. In June 2016, Jeree was announced as the inaugural recipient of the Youth Justice Emerging Leader Award through the National Juvenile Justice Network.